York Avenue Preschool creates a dynamic community by involving its parents in the learning that occurs each day. Our goal is to build a bridge from home to school. Parents are in constant communication with their child's teachers. Parents are electronically informed about classroom activities and any highlights on a daily basis. Curriculum outlines are sent home monthly, encouraging parents to follow along with their child's education. Parents are regularly welcomed into the classrooms to assist with special projects or lessons, to celebrate the many holidays throughout the year and of course, to read to the children. An active Parents’ Association allows for a vibrant school community. 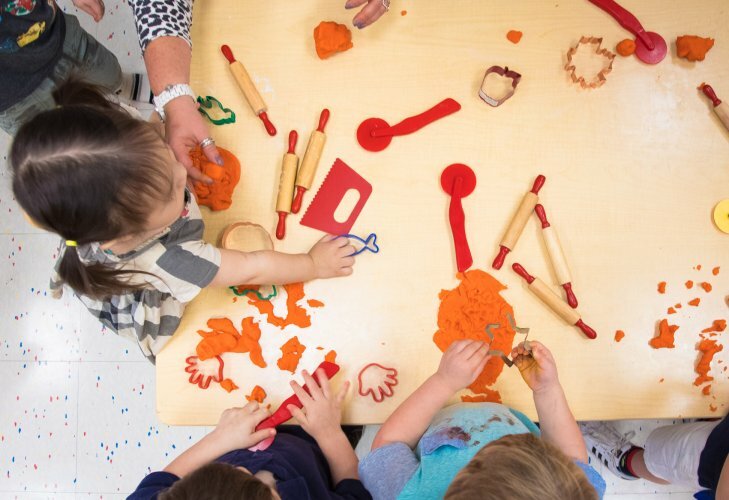 The PA’s function is to enhance the preschool experience for both children and families by supplementing certain enrichment programs and hosting events throughout the year from community outreach to fundraisers. We encourage all parents to participate as this involvement directly benefits your children.